The Internet is one of the most common places for this generation people as almost everything is available here. It has all the required commodities along with the information which will be updated super fast. Almost every websites or blog are collecting the user information like the email when the user visits. But, the Internet is not such a safe place to completely believe in the secrecy. You may be in need of a temporary email address for many purposes. Read on to find out! Along with helping the people, the internet is also a place for criminal activities and one can easily observe the latest trend of increasing cyber crimes and malware affecting the systems and personal lives of internet users. Hence, giving away any of the personal information such as email addresses or contact numbers over the internet is not the best thing to avoid the unforeseen scenarios. Email is one of the most used ways of communication and almost all the websites over the internet ask for registration through email identification. So, how to avoid giving the personal email address when registering over the website and get the full access to the information over that website? Temporary email address or disposable email address is extremely helpful in such situations. Read on this article to know more about the benefits of temp mail address and different sources to get a fake or temporary email address. 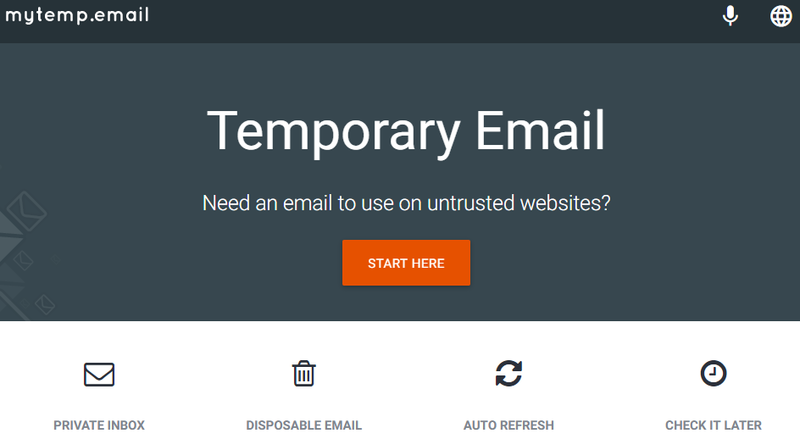 1 What is a Temporary Email Address? 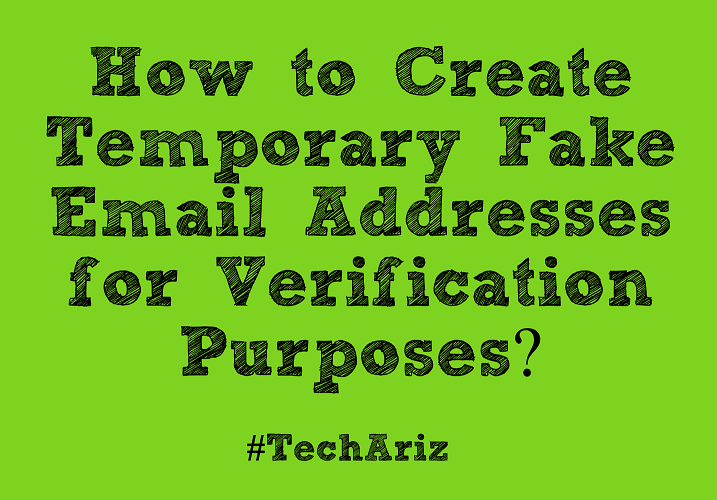 What is a Temporary Email Address? Temporary email addresses are mail address that allows users to receive an email to a particular temporary mail address for a certain period of time. As the name suggests, the temp mail address will receive emails only for a particular period of time and once the time elapses the email address becomes deleted or disposed of. Due to its property, temporary email addresses are called with different names such as disposable mail address, trash-mail or fake mail etc. They are widely used by many forums, website and blogs users when the website asks for compulsory registration on the website to view or download content from their site or blog. Through the temporary email addresses gives the users the protection from the internet spam content and provides them with the necessary security. The most important thing about the internet is privacy. The temporary email address gives the users the ability to register and check out any not so secure websites. As these emails will discard after sometimes, the users’ privacy is safeguarded. Thus the online fraud will not be able to get the original email details of the user. Another problem over the internet is the lot of spam information that will be redirected on to the email inbox if the email is registered with any website or blog. People may want to access information for short period which needs compulsory registration but doesn’t want any spam to come to their inbox, then disposable mail address are best as they will only last for certain period. Along with the online spam, another issue over the internet is the spam emails that contain viruses. People may end up opening the spam emails that contain virus thinking that they are from one of the registered websites and end up corrupting their system. Hence, with disposable email addresses, they can avoid these spam viruses and protect their device. Another important usage is for the testing purpose by the software developers. As these temporary mail addresses are easy to create, the software developers can make use of it for testing their applications. It is one of the best sources for creating the temporary email address anyone can create a fake email address in a second and use that disposable email address in the websites or blogs registration or elsewhere. It offers the best privacy to the users and prevents spam entering into the original email addresses of the users. The Emails will be auto-deleted after a certain time and users also have the chance to enhance their experience by upgrading the plans. It is another website that gives the ability to its users to create a free disposable email address which will be completely hassle-free. This will provide complete anonymous and temporary email address where emails will be stored only for a certain time period. There is no requirement of any registrations or signups and user directly access the temporary address without exposing the real email address. It keeps the spam away from the email inbox and provides a complete free disposable email address which will avoid the inbox clutter. Using Bugmenot service, one can easily get the already registered login credentials for any website. All you need to do is to enter the URL of the website to check if any credentials are already available. It also allows the users to create the disposable email address and use them for their purposes. Users can use temporary email send to send the messages through their disposable mail addresses. Temp-mail.org also provides the free temporary email addresses to their users which can be easily accessible from their website directly. You will be provided with the autogenerated temporary email address once you open their website. Based on your requirement, you can either change that email or use it. They are even providing one chrome extension which you can install if you are a regular user. It is another best site to create the temporary email addresses that can be used to sign up the unnecessary newsletters or forums which require compulsory registration to access the information from them. Users can select the email address from various email address without any registration requirements easily. They effectively block the unnecessary spam before delivered in the mail. It is one of the fastest disposable email service providers which instantly create the fresh temporary mail address after every click. Another advantage of these services is that the email lasts for short time and the time period can be known from the website. They help the users to provide the best solutions to fight the spam and secure the customers’ privacy. So, after all these sources, if you want the email address to stay for a very short period of time and access any information through this email, 10minutemail.com is the best answer. 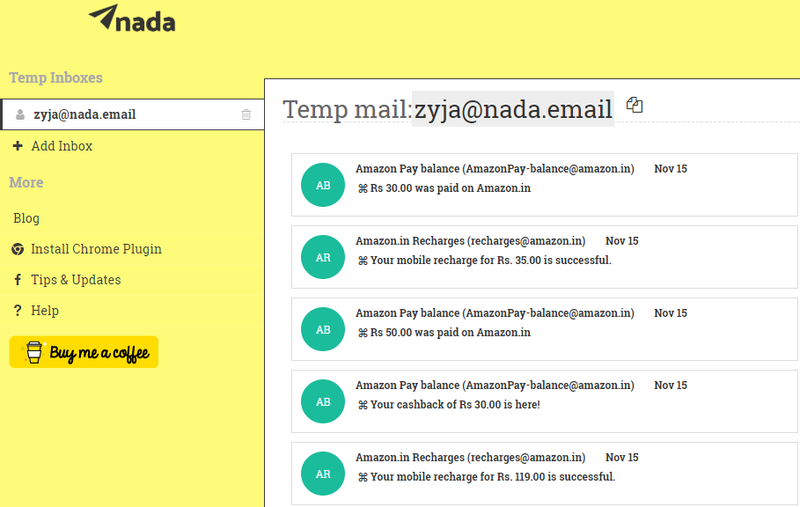 It provides email address only for 10 minutes and the user needs to refresh the website to use the new website after the given time interval. Also, the users can refresh the page as many times they want to get the new email address every time. 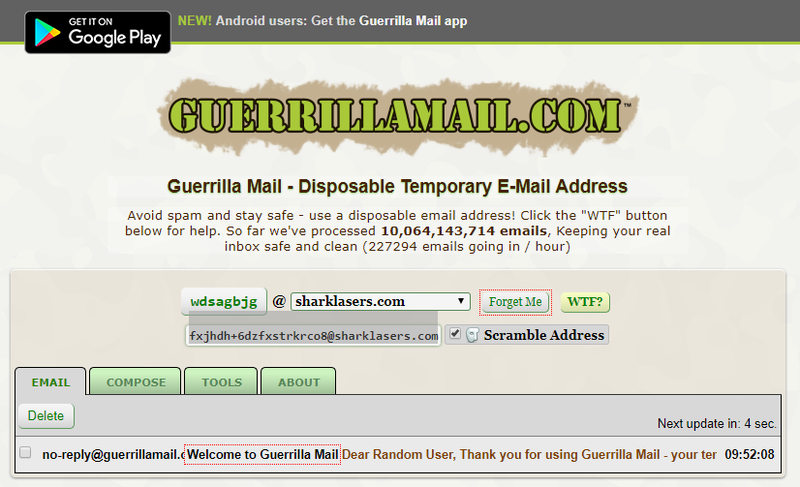 Guerrillamail provides the most and best reliable disposable temporary email address services which offer the users to avoid the spam and stay safe from the trash that will be available all over the internet. 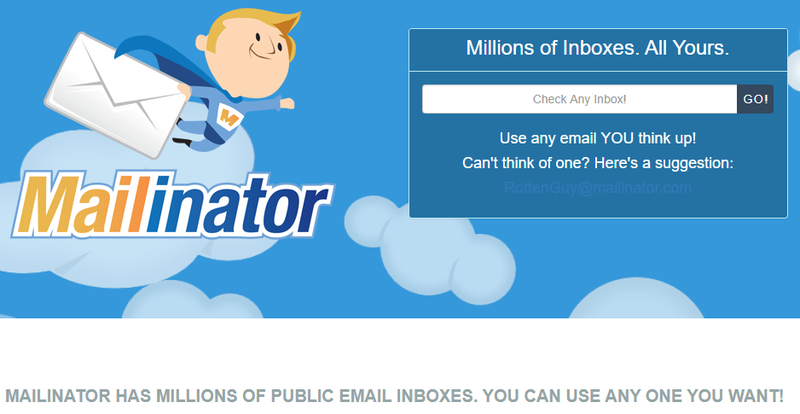 Key features are realistic email inbox and all other tools such as compose and delete like a real email inbox. It provides an easy interface to create temporary email addresses and use them in the required places. It is another crucial website that helps customers to create a disposable email address to use on the untrusted websites and places where compulsory registrations are required. It offers private inbox to the users along with disposable email address which will dispose of after 24 hours. They provide the option to refresh and the users can access the email from anywhere with the valid login details. It is one another website which gives the suggestions and helps the customers to create the temporary email address. 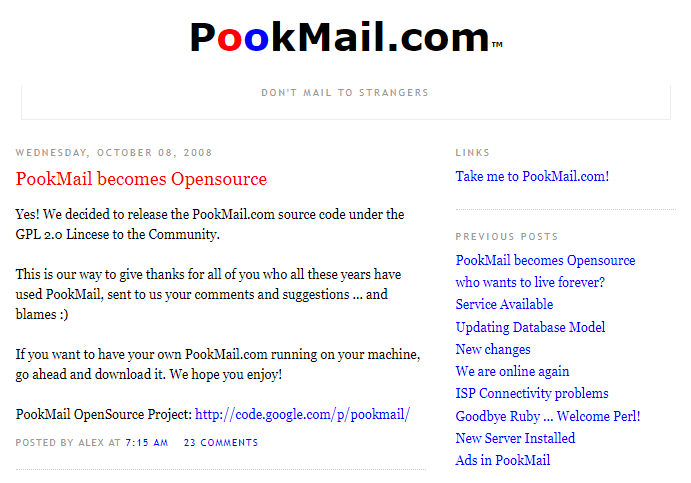 Pookmail is open source code with GPL 2.0 license and can be used for any purpose to create the disposable email address. This temporary email address provider is the best one which you can use for registering in any untrusted websites. Hence, this would prevent the user from the spam and any malware over the internet which comes with the email. As it doesn’t collect any logs or user data, the anonymity of the users is safeguarded. The email will be available for 7 days after which the email data will be deleted. This will create the temporary email address with password and will keep the unnecessary spam out of the email inbox. Getairmail helps in viewing the email securely without getting affected with the tracking scripts sent along with the email. Thus, the attacker will not be able to know your IP and browser details. The specialty of this service is that you can even check your inbox in a later point of time using your unique URL. This provides the email address in a unique manner. They provide a free disposable email address to the users which can be obtained without any clicks. They provide the disposable email system with no clicks strategy where the assigned email address will be displayed immediately after entering into the website. This temporary email address can be used in places which require compulsory email verification to access their websites. They avoid any spam and misusage and will come up with an instant update of the received email. This is another temporary email address provider but their service automatically forwards the emails received to your real email address. The unique feature of this website is that users can select the required lifespan for the temporary mail address created. All the email will be forwarded to the actual email address. It also blocks any spam and deactivates once the time span is over. 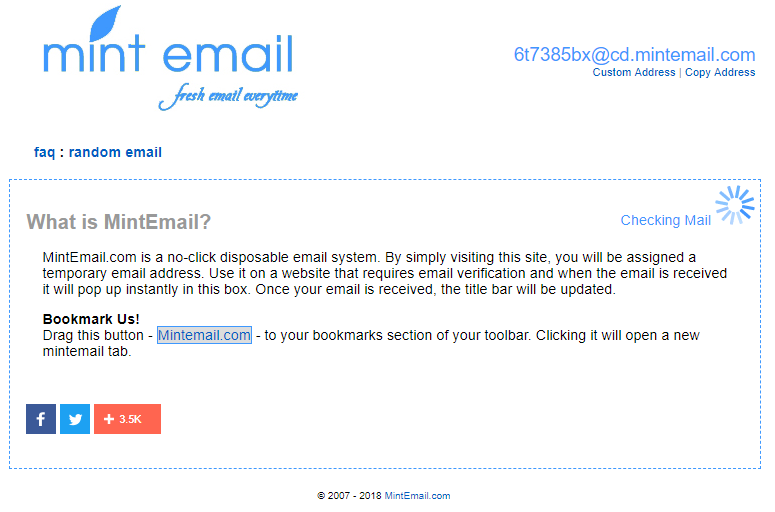 It is one of the modernized and well built temporary email address provider with a clean user interface. 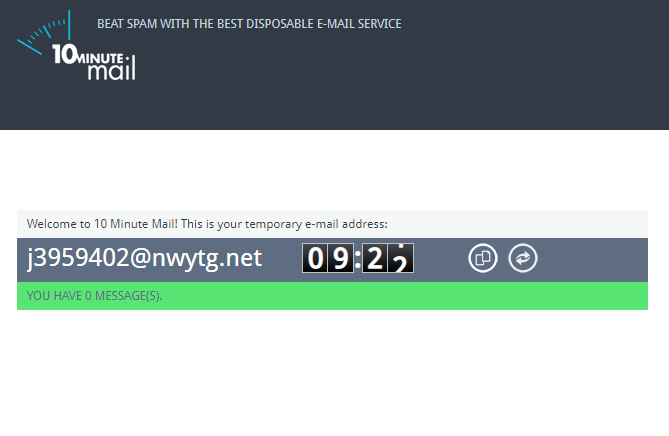 The unique feature of the trashmail.com is that like jetable.org it also offers the customizable lifespan. In addition to that, it also allows users to directly modify the email address along with the fixed email tag. It also offers various features such as filtering the incoming messages through the CAPTCHA system or directly disables the CAPTCHA. It also creates the temporary email address with password and allows the users to manage the different addresses through login. 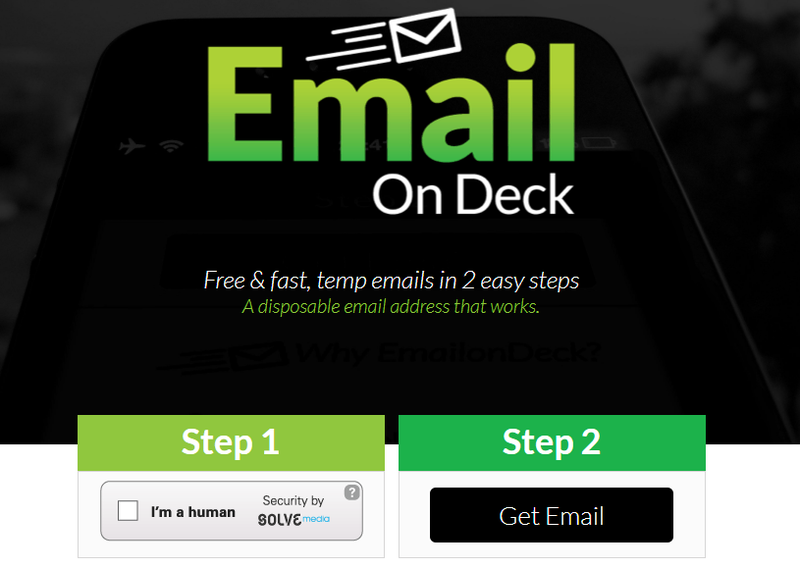 Emailondeck helps the users to receive their temporary email address with two simple steps. The first step includes the human verification test to ensure the presence of humans to use the site. The second step is directly receiving the temporary email address. It offers the best online privacy and avoids unnecessary spam. Along with traditional websites, with modern technology the usage of mobiles also increased, the Temp email address provides solutions are also available over the smartphone. Temp Mail Android app by privatix communication gives all the functions that are required by the disposable mail address. 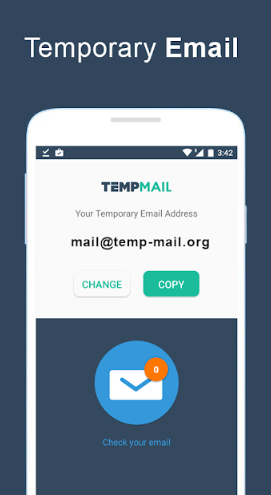 Along with the android app, the temp mail app is also available over the iOS devices which provide the services of the temporary disposable email which can be accessed with one click, fast and easy. Overall, almost all the services mentioned above are worth giving a try to create the temporary email address. 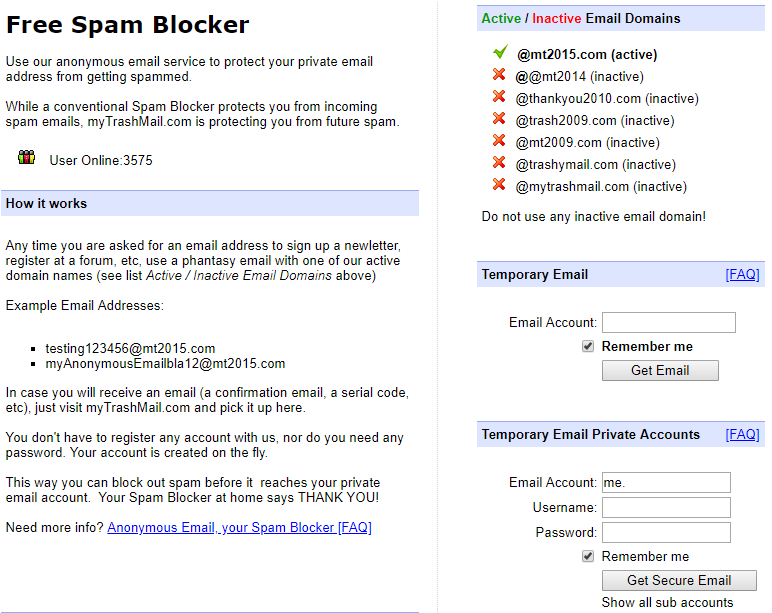 With the disposable email address, one can avoid spammy emails. Also, one can avoid sharing their personal email address for every online service which they want to try out. All the above-mentioned temp email suggestions have different features. Check out every one of them to find out which will suit your requirement. But our best picks are Trashmail.com, janeta.org, and tempmail.com due to their wide range of services.